Los Angeles based duo Girlpool are back with ‘What Chaos Is Imaginary’, a fuzz-driven album offering, laced with haunting harmonies and a lyrical wisdom far beyond their years. 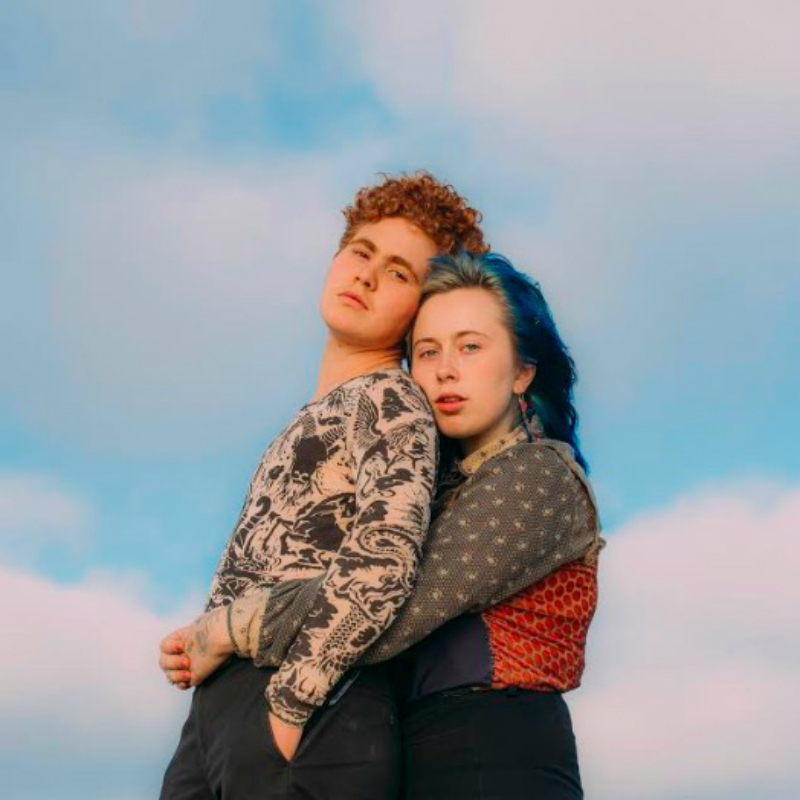 Where prior to this album Girlpool’s vocals were shared in the same pitch range by members Cleo Tucker and Harmony Tividad, this time Tucker’s vocals are an octave lower than Tividad’s, spurred on by Tucker’s hormonal replacement therapy as they came out as transgender back in 2017. This adds a fresh layer of depth to their sound and propels it into exhilarating new territories. Even the album cover boasts a whimsical aesthetic beauty, a shot that could easily belong on a poster at the Sundance Film Festival. Highlights include the melancholic lulls of ‘Where You Sink’, where lyrics such as “You look like a kid from outer space” profess vulnerability and a poetic candour not unlike the retrospective musings of Mac DeMarco. Tucker’s tenor is fully explicit on ‘Lucy’s’, giving them the perfect transitional track for their evolving sound. Tracks like ‘Swamp and Bay’ bring us punchy indie rock, and ‘Hoax and the Shrine’ give us woeful nursery rhyme acoustics befitting to a reflective train ride in a coming-of-age film. A development for Girlpool, and one of sheer enigmatic bliss.